Perpetual Adoration is a Eucharistic devotion in which members of a parish community unite in taking hours of adoration before the Most Blessed Sacrament, both during the day and throughout the night, seven days a week. 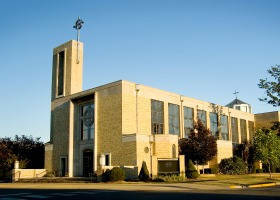 Our community spends these hours of devotion in the chapel at St. Joseph's Hospital here in Highland. 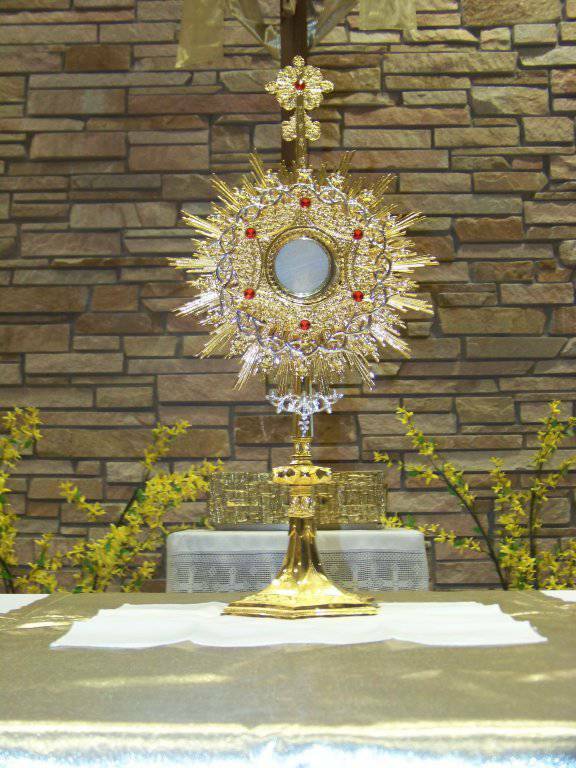 How does one spend an hour before Jesus in the Blessed Sacrament? This hour Jesus wants you to be with Him is spent any way you want. You may bring your own prayer books, use the books in the chapel, read the Bible, pray the rosary, or just sit and relax and enjoy the sweet peace that comes from simply being in the Presence of God. You may feel that you can't pray well. Don't let this discourage you. The mere fact that you take time out at a specific time each week to spend an hour with Jesus in the Blessed Sacrament pleases Him very much and is in itself a prayer of great faith. Please remember that Perpetual Adoration in a parish is not just for a day, a week, a month, or a year. Rather, it is for always. It is not temporary, but ongoing, lasting, permanent. The devotion of 40 Hours of Eucharistic Adoration which started in 1534 eventually developed into Perpetual Eucharistic Adoration and gradually extended throughout the world, so that it may be truly said that during every hour of the year, the Blessed Sacrament, solemnly exposed, is adored by multitudes of the faithful. "At times in our lives we ask with those two disciples, "Where are you staying?" (John 1:38) From His tabernacle He calls out to us: ""Come, and you will see." (John 1:39)"